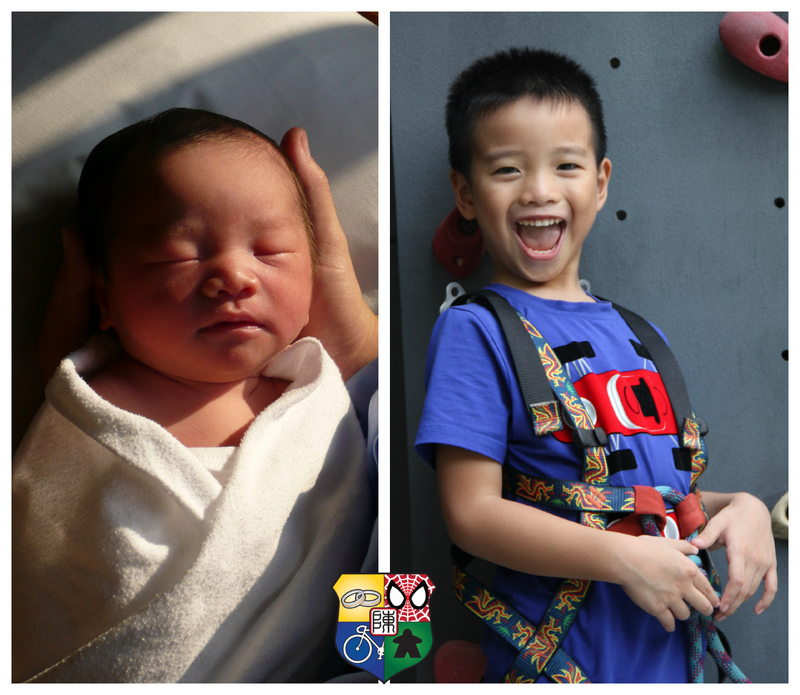 Tan Family Chronicles: Isaac is six years old already!? Isaac is six years old already!? In a blink of an eye, Isaac turns 6 this year. Okay, make that many blinks of many eyes. But look how he's grown. That picture above on the left was taken on the day he was born, barely ten hours since he'd left my womb. The photo on the right was taken this year, two days before his 6th birthday. Isaac's like a mini-adult now. We can actually have pretty mature, reasonable and sane discussions and conversations with him. We see and hear him disciplining the twins like we do (the kids). And when he hears hubbs and I talking about something, he would often ask what we are talking about and join in our conversation. He has his own thoughts and ideas, and more often than not, his arguments makes sense and he actually has a point to make. Isaac can read independently now. And boy is he a voracious reader! He reads so quickly that he often finishes reading the stash I borrow from the library by the very next day. We can now sub-contract reading to the twins, to him. The twins usually prefer hubbs or I to read to them, not because they don't want kor kor to do so, but rather, they want me or hubbs to do it. And so we do. But when they see that hubbs and I are really indisposed at the moment, they would happily allow Isaac to read to them. Isaac: "Mummy, I want to go pass urine! Switch on light for me!" Me: "You can reach the light switch what. Go switch on the lights yourself!" Isaac: "But I am afraid of the daaarrrk..."
Shawna: " I am NOT afraid of the dark!" Me: "Perfect! Shawna, you go with him!" Isaac's going Primary One next year!!! 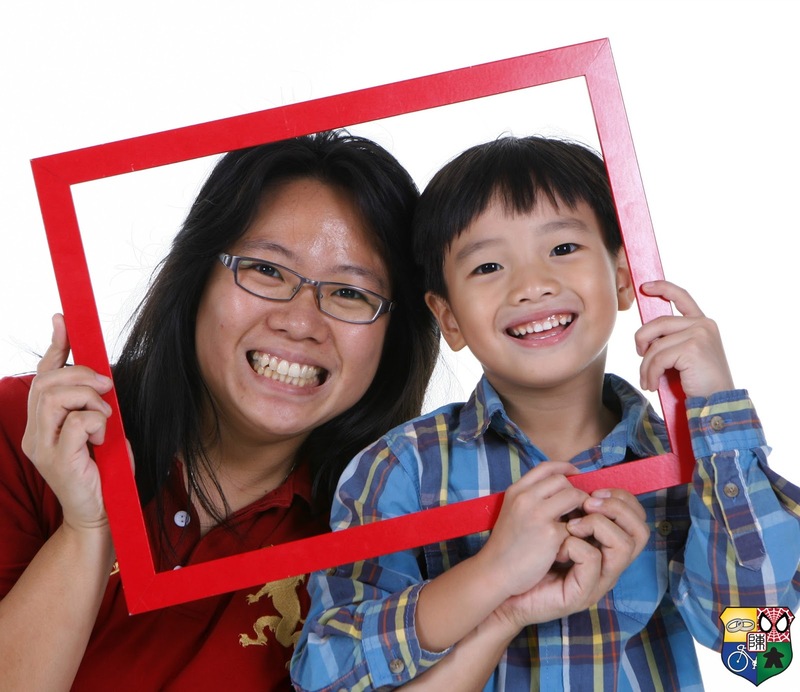 It is truly a milestone when a child begins his formal education. Isaac's been psyched up for primary school too, by his childcare teacher. They have been doing a good job of teaching the K2 class about what to expect next year in a primary school. Isaac's excited and more than once, he has already informed me "Mummy, I am looking forward to going primary school." Truth be told, so am I! I've heard so much about the stresses related to primary school, that I have been mentally prepping myself for it. Also helps that I decided earlier this year, not to look for a full time job (when my previous company closed its Singapore office), and do my My First Games biz full time, in order to have flexi working hours and more time next year to guide Isaac through the vagaries of P1. Thus, as evidenced above, even though my Isaac is currently afraid of the dark (he didn't used to be), and he is still very much a little boy in many ways... He is definitely growing up. I look back on my blog posts, and see my past photos and videos of Isaac when he was much younger, and I kinda miss him. However, we are very blessed, that Isaac's generally very well behaved, a joy to be with, and we pray that he will continue to be the wonderful, smart and kind boy that he is today. Isaac's Dinosaur Mad Science Party!